With the amount of stories and rumors surrounding the possibly troubling production of Josh Trank’s “Fantastic Four” reboot, it is hard to pick which sides of the story to believe. Is this the case of an incompetent director who arrived on set high as a kite? 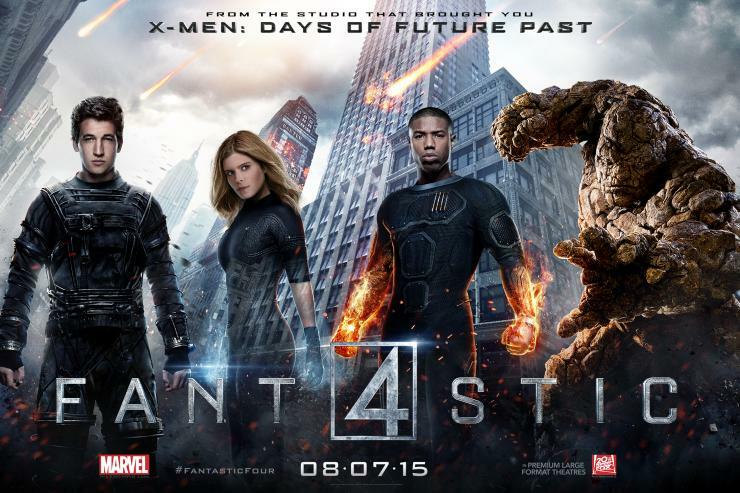 Or is this a case of the studio meddling with the vision of what this director wanted to create? We can point our fingers as long as we want, but whoever it is to blame, that still doesn’t lessen the fact that this movie falls flat on its face. Despite a tolerable opening two acts that presents some interesting ideas that can bring these characters to the big screen in a creative way, the overall execution fails on so many levels. Our cast full of talented performers do a serviceable job with the minimalistic material that they were given, but there is little chemistry to be seen. In fact, there’s more chemistry between the cast in their press interviews and also on Twitter. But it is within the film’s so-called third act where yet again, an iconic villain is misrepresented, leading to a shoehorned climax that soon transitions to an unbelievably abrupt ending. I can’t help but feel sorry for the cast and crew for the making of this film. We live in a comic book movie renaissance that was kicked off in the Summer of 2008 when films like “Iron Man” and “The Dark Knight” showcased for us what these films can truly be, and to see “Fantastic Four” fall to this low of a level especially considering the incredible talent behind this poses one of the most frustrating movie-going experiences in recent memory. Downey Jr. plays Hank – a hot-shot lawyer who travels back to his hometown after receiving a call that his mother passed away. There, he sees that his estranged father (played by Robert Duvall) has been accused of murder. Hank decides to take matters into his own hands while also reconnecting with his family. David Dobkin is known mainly for directing comedies such as Wedding Crashers, Fred Claus, and The Change Up. Based off of the trailers and cast, The Judge seemed that it would be the type of drama that would hopefully compete during this Awards season. Unfortunately, this film ultimately settles itself asides a typical crowd-pleasing film that while mildly entertaining, feels tonally inconsistent and riddled with a few too many subplots. Downey and Duvall are definitely the highlight of this film. Downey sets himself aside from his ever-so recognizable “Tony Stark-isms” and even reaches emotional heights that we haven’t seen him reach within his career. And the expectedly marvelous Duvall delivers a wonderful performance with plenty of honest and heartfelt layers to his character. Whenever these two are sharing the screen, it’s quite electric. We also have the supporting likes of Vincent D’Onofrio, Vera Farmiga, Billy Bob Thornton, and Dax Shepherd who all do a fine job in the roles they are given. 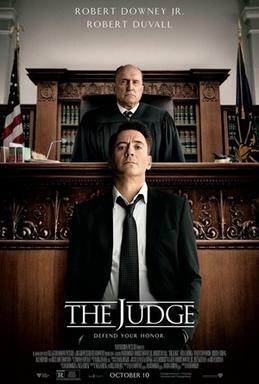 Sadly, although The Judge serves as a good showcase for wonderful acting particularly from the two leads, it loses much of its steam with its inconsistent tone. Knowing Dobkin has directed mainly comedies, it shouldn’t come to a surprise that there would be some humorous elements sprinkled within. Unfortunately, although there were definitely some genuinely funny moments, they don’t really seem to mesh well alongside the serious dramatic elements. Also, there are a few subplots within this script that are unnecessary and only add more beef to the runtime rather than to the character/story development. To pinpoint from that, there’s a subplot involving the relationship between Downey and Vera Farmiga that starts out on an awkwardly comedic note that is genuinely funny but then divulges into an unnecessarily dramatic note that ends up becoming a plot element that is easily expendable. Which is unfortunate because there are a couple of scenes in The Judge that are truly well-executed. Particularly a scene where Downey and Duvall find themselves in an incredibly uncomfortable, yet relatable situation that manages to blend humor and drama expertly. However I feel that this scene would be much more effective had it been in a more tonally consistent final product. If anything else, I would recommend seeing The Judge solely for its remarkable performances, but I can’t give it the full recommendation I would like to due to its inconsistent tone and overlong runtime. I’d say wait for it when it comes out on DVD or Blu-Ray. Fairly recently, I concluded my K-12 educational career. My senior year had been quite the impactful experience to say the least, sprinkled with memories that still endure with me and will probably continue to do so for a long time. Whether it was that state championship-winning performance with my marching band, finalizing my College plans, taking center-stage on the dance floor on prom night (albeit dancing poorly), or to have the privilege of delivering a speech for my graduating class, it blows my mind to even think that all of these experiences have already occurred. When me and my two fellow class speakers stood up on stage during graduation night, I quickly reflected over the past 12 years – from the days of sitting criss-cross applesauce listening to my Kindergarten teacher read Robert Munsch’s Love You Forever, to now representing the Class of 2014, the mere feeling of all that time now gone had overwhelmed me. Now that I am nearing the end of Summer and the start of College looming closer, I remember my past expectations before I entered Intermediate school, expecting the next six years to be something much bigger than it actually turned out to be. Now if I were to go to the 11 year-old Noah and tell him what was in store, he would seem pretty disappointed that he would not be getting the definitive Intermediate-to-High School experience that he expected from watching too many TV shows. But once 11 year-old Noah actually experienced the next six years and finally reflects back, he realizes that even though it was different than expected, the actual experience was more gratifying than what he could have imagined. And by some miracle, Richard Linklater’s Boyhood happened to release during the most fitting time that I not only as a film-lover, but an individual needed to see it. Similar to what my 11 year-old self expected for his adolescent life, I was given a film that turned out to be surprisingly different than what I expected. I went in hoping for this epic, sweeping coming-of-age drama that would leave me in shambles once the credits started to roll. Instead, I was given a film much smaller in scale, and yet, a euphoric cinematic experience that is unprecedented in the history of American cinema. 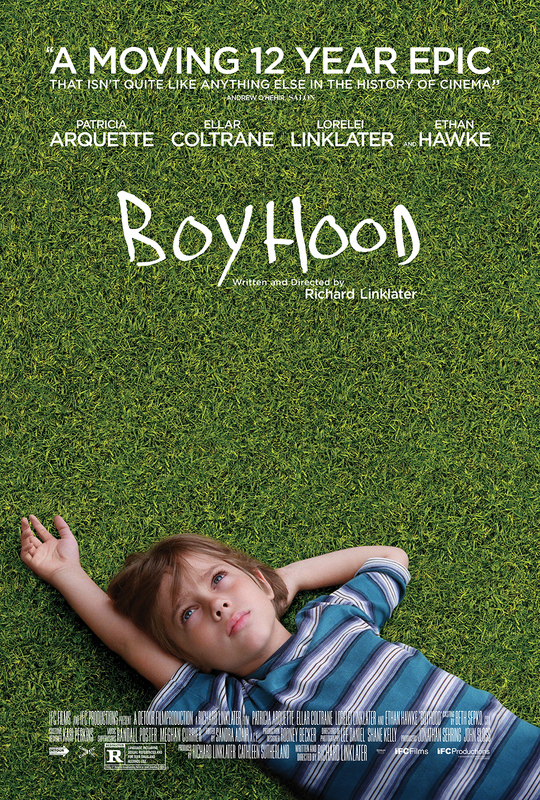 Clocking in at about 165 minutes, Boyhood justifies that runtime thanks to Linklater’s unprecedented direction, realistic and intimate performances by Patricia Arquette, Ethan Hawke, Ellar Coltrane, and Lorelei Linklater, and the wondrously profound messages about the moments we cherish in life. And fittingly enough, the brisk pacing mirrors the feelings we endure when we realize that life does indeed move pretty fast. As someone who is just getting ready for the next chapter in his life, I can say without hesitation that Linklater has given us not only one of the best films in recent years, but a true cinematic landmark that is destined to stand the test of time. It is a film that everyone needs to see. A film that anyone and ESPECIALLY recent High School graduates can relate to. 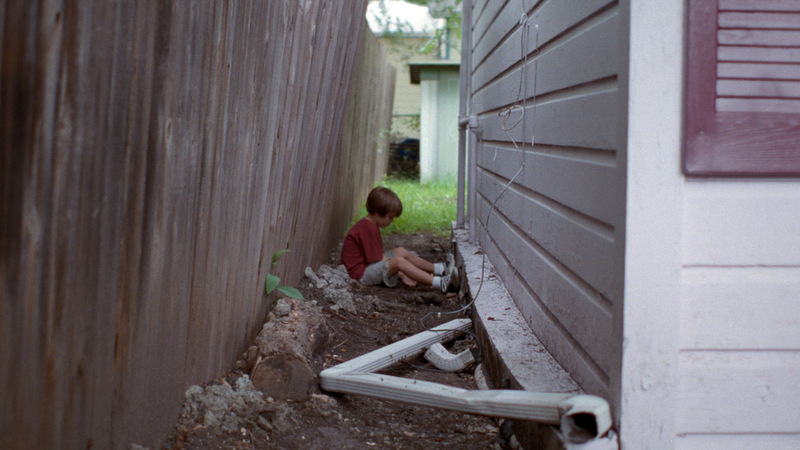 And for those reasons and more, Boyhood is just a masterpiece.